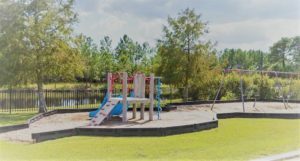 Walkers Woods and the Reserve at Walkers Woods is situated in such a safe and tranquil community; however, some also know this neighborhood as having many activities for the homeowners to keep them active and vibrant within the surroundings. Walkers Woods is in the popular Carolina Forest section of Myrtle Beach. 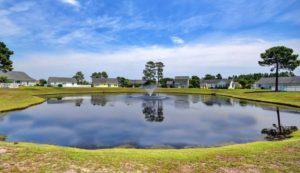 If you are not aware of Carolina Forest, you will come to realize that the position of Carolina Forest is in the most ideal location of the Grand Strand. many dining venues that will settle any palate or cravings that you have. Plus, Walkers Woods is not far from the Myrtle Beach Airport, as well as multiple hospitals and other healthcare facilities. 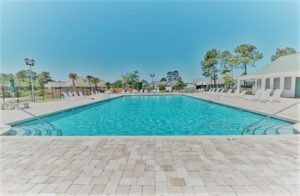 Carolina Forest is a perfect location to head over to the crystal blue Atlantic Ocean to dip your toes into the sand or simply work on that perfect tan while taking in the peaceful waves. 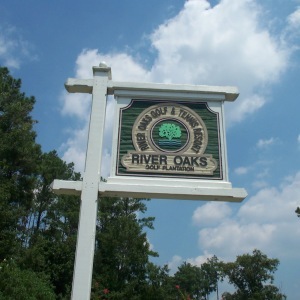 Walkers Woods is centrally located in the middle of Carolina Forest to give easy access from one of their multiple entranceways in order to hop on one of the highways to get easy access to the north end or south end of the Grand Strand. 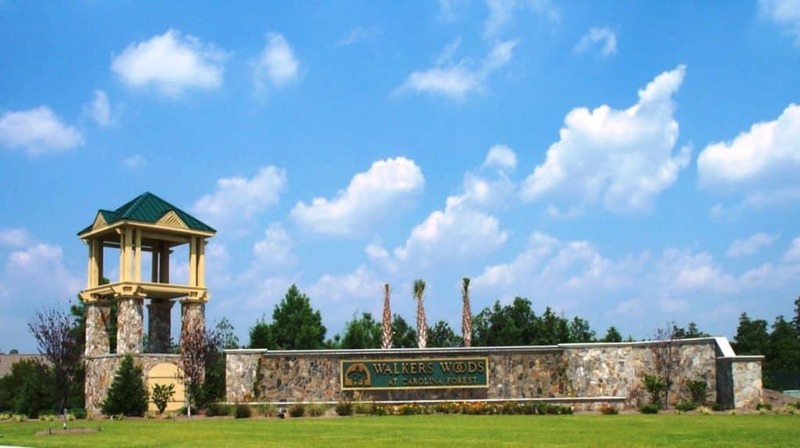 The Walkers Woods community is constructed by Beazer Homes Development. The community has about 300 differently styled homes ranging from 3-5 bedrooms and floorplans ranging from 1500-3000 square feet. Homes in the community start around the mid-$100s to more than $200k. Most of the homesites back up to the wooded preserve that was set in place during development and some of the homesites back up to the lake. Most of the homesites that are available are resales; however, there are some very impressive lots still available to build that perfect home. 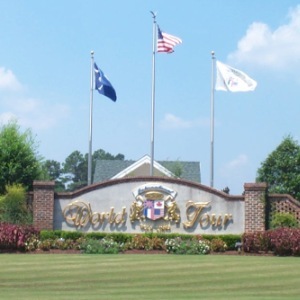 Walkers Woods has an array of amenities that are offered for their homeowners. 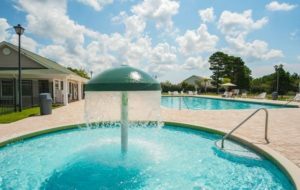 The community offers you an amenity center, playground, basketball court, volleyball court, swimming pool, and a kiddie pool for the little ones. Walkers Woods also has some of the most picturesque views throughout the community as well. 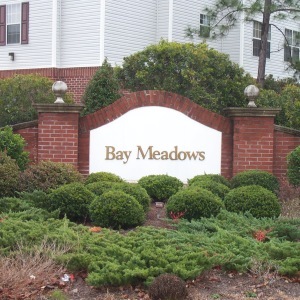 Some of the homeowners can be seen taking a stroll around the neighborhood looking at the many lakes in the area, as well as walk along the community paths throughout the community. So, if you are looking to find a perfect place to call home, look no further. Give one of the Willis Team Professionals a call, so that we might be able to show you some of the best Myrtle Beach Real Estate by the sea that is available. The Willis Team is known throughout the entire Grand Strand as being experts on properties here at the beach. After all, this is why The Willis Team has maintained being in the “Top 1%” of the entire MLS for realtors here on the Grand Strand. So, give us a call so you can start enjoying life at the beach.